The following is the second review in a series of CD reviews I will be doing on releases by New Focus Recordings. I have recently been speaking with Dan Lippel about their new releases and will be doing regular reviews of their CDs moving foward, so keep a lookout for some exciting new music releases! This post is a review of the September release of Music from SEAMUS 26, the annual CD released by the Society of Electro-Acoustic Music of the United States. The pieces contained on this CD were presented at the 2016 SEAMUS conference which took place at Georgia Southern University. Conference attendees are given a ballot to cast their vote for their 10 favorite pieces presented during the entire 3-day conference. The ballots are counted, and 8 works are chosen to be on the Music from SEAMUS CD for that year. 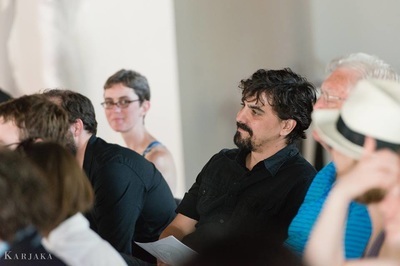 Additionally, SEAMUS holds a yearly student commissioning competition wherein 4 student works are chosen as finalists for the competition, and two winners are chosen to compose a new work to be presented at the following SEAMUS conference. The winner of the 2016 ASCAP/SEAMUS Student Competition was William Dougherty, with his work Intersections. In the interest of transparency, I should add that I was a finalist and 2nd place winner of the ASCAP/SEAMUS Student Competition at the 2016 SEAMUS conference. My remarks regarding this CD, SEAMUS, and Bill Dougherty’s piece are a reflection of my own thoughts, and are presented as my personal subjective experience of these works, and in no way reflect the opinions of SEAMUS or its members, outside of my own opinion. “Dead zone”) which is presented as a dramatic reading by University of Illinois professor Valeria Sobol, who was a child in Kiev during the incident. Wyatt’s piece, for me, is the high point of this album, but that is mostly due to my particular interest in text, spoken word art forms and my love of storytelling. Sobol’s reading of Filatova’s text is mesmerizing as she leads the listener through a description of the events leading up to the explosion and the myriad ways in which the lives of people involved continue to be impacted 30 years after the fact. The only drawback to the presentation of Wyatt’s piece on this CD is that it should be experienced in the full 8-channel version. While it is impactful and engaging as a stereo piece, there is something that is lost with the stereo mixdown, as is often the case with multi-channel works. Regardless, this should not dissuade you from experiencing what I believe is a masterpiece of early 21st century acousmatic repertoire. 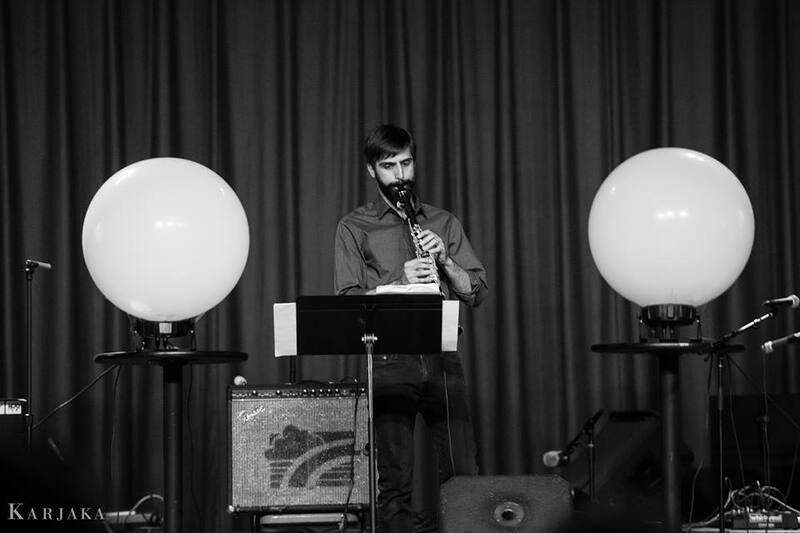 Following the Wyatt is Eli Fieldsteel’s Brain Candy, another piece in which the full glory and impact cannot be captured as a recording. This piece utilizes custom-designed gloves that employ Arduino technology to generate and manipulate audio in various ways. The recording sounds incredible and demonstrates Fieldsteel’s attention to detail and care in crafting his sound world, but again something is missing when the listener is not able to watch Eli perform this piece in the full quadraphonic diffusion of the sounds. That said, when I first saw this piece performed I was very much engaged in the physical movements and really marveling at the sensitivity of the gloves and how responsive the music was to Fieldsteel’s motions. I have seen other multimedia and interactive works by Eli in the past, and this one definitely measures up in terms of craftsmanship, creativity and successful implementation of technology, but I really want to emphasize that the music itself is very interesting and does stand on its own. Though I do enjoy watching the textures be crated and manipulated in front of me, I could also sit and listen to the music based on its own merits. 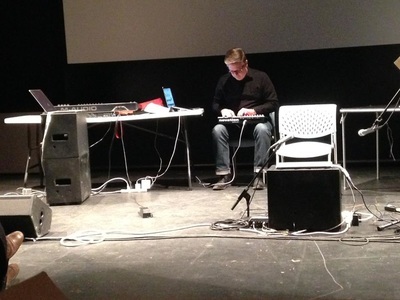 That, in and of itself, is a real accomplishment for this particular type of live interactive electroacoustic music. Keith Kirchoff’s Irrational Rationalities, performed by the SPLICE Ensemble (trumpet, piano, percussion), is a refreshing piece to hear on a collection of electroacoustic music. I absolutely love experimental electroacoustic music, and in my mind the more kerplunkity and abrasive the better. That said, one can often become oversaturated with this aesthetic, particularly electronic music conferences, where even the most impressive and well-crafted pieces run the risk of getting lost. Kirchoff’s piece brings a lot to the table in what is ultimately an energetic, at times quirky, but always engaging work for chamber ensemble and live electronics. The performances from Kirchoff, Sam Wells (trumpet) and Adam Vidiksis (percussion) is remarkable, and their work as soloists and together with SPLICE shows a level of dedication that is truly inspiring for the future of electroacoustic composition, performance and use of interactivity in conjunction with chamber ensembles. 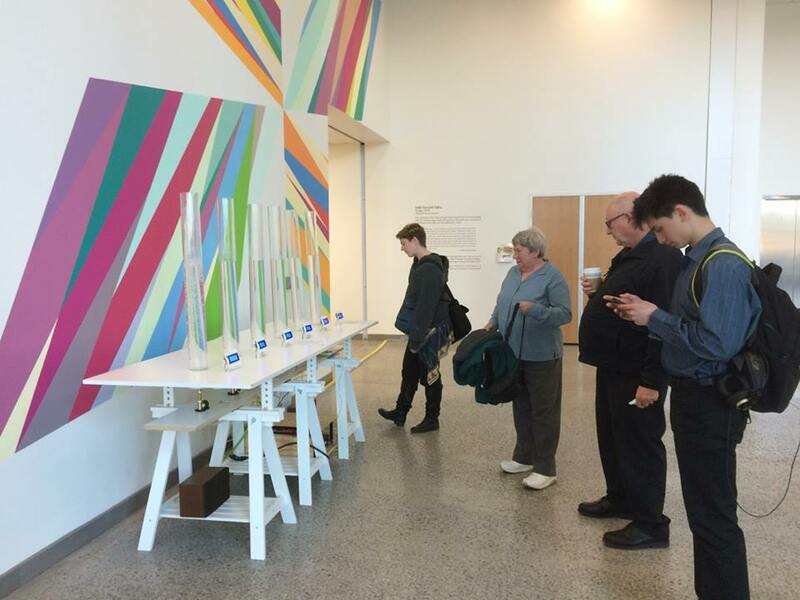 Hold Still by Becky Brown is another text-sound composition, with Brown reading her own text. This piece is also somewhat of a descriptive/narrative similar to Wyatt’s piece, described in her own words as a “multimedia self-portrait.” This piece utilizes Arduino and copper on paper while the composer draws a self-portrait in real-time to a pre-recorded acousmatic text-sound composition. The text discusses Brown’s own experiences in her youth when she would draw her friends, specifically while they were sleeping. The text is deeply personal to Brown’s development as an artist and a human, and is honestly one of the most honest, direct and communicative works I have experienced in many years. While the CD only includes the recorded audio component, watching Becky perform the piece in real-time is both fascinating and exhilarating. While the text discusses her personal growth as an artist and the speed with which she would have to work while creating portraits of her dozing friends she is simultaneously creating a self-portrait in real-time that is projected on a screen for the audience to watch, all the while wondering if she will finish that portrait before the piece comes to a close. One line that stuck with me upon first experiencing this piece is when Brown says “I never got to meaning, I never got beyond practice.” While that may be true of Becky’s work in drawing, I can definitely attest that she has gotten to meaning in her work as a musician, composer, and sonic artist. Benjamin Whiting’s acousmatic composition Illumina! Arabidopsis thaliana is a track that I found very engaging on a first listen, but admittedly had difficulty maintaining focus. I don’t fault Whiting for this, as I often need repeated listenings to fully internalize any acousmatic work. Whiting’s piece is full of interesting sound and gestural shapes that create an ever-changing and interesting musical surface, and while I haven’t fully absorbed everything it has to offer in terms of form, narrative, and meaning, I can say that I do enjoy coming back to it for additional hearings. Local Equilibrium Dynamics by Adam Vidiksis (with Vidiksis on percussion, Keith Kirchoff on piano and Temple University’s BEEP electronic ensemble) is a really remarkable work. While the interplay of live performers, electronics and the interaction of multiple laptop performers does not translate into a fixed audio recording, I feel that this recording is still a rewarding listening experience. The introductory material creates a soundscape of frenetic piano sounds (keys and inside the piano) as well as an assortment of percussive and electronic sounds that culminate around the 2-minute mark and fade to silence. What follows is an extended section of pointillistic textural counterpoint reminiscent of mid-20th century serial works, and is followed by a sequence of textural and timbral explorations of the piano, percussion and live processing of these acoustic elements. From the program notes, “the title refers to a principle in thermodynamics, whereby the thermal state of a system can be determined if the variations within it happen slowly enough in space and time.” This serves as a metaphor for the interplay of the two performers. What makes this piece so incredible is the elegant way in which live performers are combined with the live processing, all of which is handled by a handful of laptop performers. As a laptop musician, I know how difficult this kind of interaction with performers can be in a real-time live processing situation, and the fact that Vidiksis and Kirchoff are able to pull it off so well and create a captivating acoustic component alongside engaging electronic counterpoint in what creates an overall captivating musical experience is a stunning accomplishment. In keeping with an ongoing theme of this CD, Olga Oseth’s Shapes of Each Other is another work that utilizes controllers for real-time manipulation of audio (similar to Fieldsteel’s Brain Candy). Unfortunately, I missed Oseth’s performance at the conference, but have since watched YouTube videos of her performing the piece and have listened to it multiple times on this CD. Oseth’s work is fairly minimalist in terms of sonic materials and foreground activity, which is an appropriate contrast to the previous work by Adam Vidiksis (speaking in terms of CD track ordering). Shapes of Each Other consists of sustained soundscapes that draw the listener into the subtle nuances of each moment. The sound world is made of resonant drones, sweeping gestures and live-processed recordings of a text by Mewalan Jalaluddin Rumi. While the sounds themselves are engrossing on their own, the real magic of this piece is in watching the performance and seeing how Oseth’s physical movements shape and sculpt every moment of the piece. I feel that this piece would be equally successful as a stand-alone acousmatic work, but having seen it performed in videos, I feel that there is something to be gained from watching Oseth’s soundscapes being generated and controlled in real time. Sighs of an Ancient Wall for tárogató and audio file, by David Durant and Esther Lamneck is another work that I missed at the conference, and have in all honesty have had some difficulty coming back to on repeated listenings. The electronic component was composed by Durant and the tárogató part was composed and performed by Lamneck, and while I find both of these elements interesting on their own, I don’t know if they always complement one another well. Durant’s electronic accompaniment is masterfully created in terms of audio quality and gestural control, and the same can be said of Lamneck’s writing for tárogató and her execution of the part. However, I just often find myself thinking that I’m listening to two different works that could easily stand on their own as an acousmatic composition and an unaccompanied work for solo tárogató. Perhaps my opinion will change will additional listenings, and I don’t feel that my personal opinion should deter listeners from checking this piece out. The final piece on the CD is William Dougherty’s Intersections for chamber ensemble (saxophone, flute, accordion, 2 pianos, percussion) and sine tones. Dougherty’s composition is interesting in theory and very well executed by the ensemble (zone expérimentale), and I admire his commitment to an idea. The piece consists primarily of slowly shifting instrumental timbres and textures with the use of quarter-tones in the instruments against electronic sine tones to create interference and beating effects that ebb and flow in and out of tune with the instruments. I have given this piece multiple listens and while moments of it pull me in, I do find my mind wandering at times. Dougherty is clearly coming from the tradition of French spectral composers (and is a student at Columbia, having studied with Georg Friedrich Haas), and his interest in that approach to composition is clear from his work here. His control of instrumental writing and scoring is handled well, and he clearly has an ear for how to effectively blend simple sonic elements with complex instrumental tones. However, compositionally, the piece does leave me wanting more, but more in the sense of I wanted the piece to go somewhere or do something else. Perhaps it’s a matter of personal taste, but I found it difficult (and still do on repeated listenings) to stay engaged in Dougherty’s glacially evolving (though sonically beautiful) drones. That said, if you are a fan of Haas, Grisey, Tristan Murail, Philippe Manoury, Joshua Fineberg or Philippe Leroux, you should definitely check this piece out. Well there it is, my incredibly long-winded review of Music from SEAMUS 26. If you’re a fan of electro-acoustic music this is definitely an album you need to check out. If you’re not super into electro-acoustic music, but are looking for a way to break into listening to it, then this is also a good album for you. The text-sound compositions by Scott Wyatt and Becky Brown offer a wonderful narrative to latch onto. Olga Oseth and Eli Fieldsteel’s works are not only enjoyable to listen to, but are wonderful visually as well (both of which have videos online you can watch), and the rest of the works provide a delightful collection of the various types of approaches 21st century composers are taking in experimental electronic music. Transient Canvas, a bass clarinet and marimba duo made up of performers Amy Advocat and Matt Sharrock, recently released their debut album sift on New Focus Recordings. 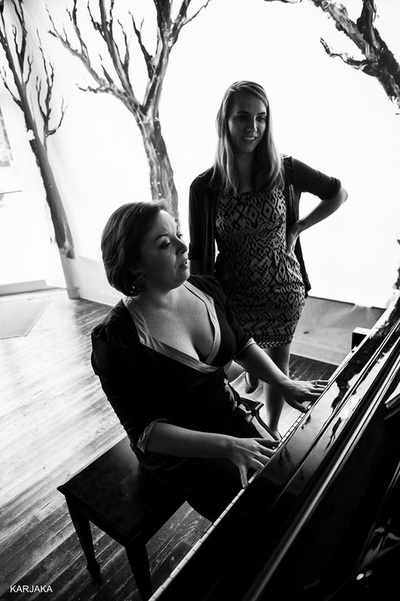 As you might expect, the album consists entirely of new works, all of which were commissioned by the duo. I had the pleasure of listening through this album and find it one of the more refreshing things I’ve heard in recent years. The following is a review of this album, taking each piece into account with some final words on my overall feelings about the album. The CD opens with its title track, sift by Daniel Lewis, and I feel it is a very effective opening piece. It is centered around the “struggle to accomplish something, and a final and inevitable collapse,” as outlined in the program note (the title being a reference to a line from a Kay Ryan poem). The piece uses limited pitch material which draws the listener into the gestural characteristics of the two voices (bass clarinet and marimba, obviously). The instruments also focus initially on the low range of their respective registers, and over time introduce new pitches contained in the overtones series as the piece evolves. Lewis also refers to a “drawing up of energy” in his programs notes. This is created through a gradual buildup and introduction of ideas, as well as the density of material, expanding registers and rate of rhythmic activity. However, this entire process is extremely gradual, t the point that I barely noticed it was happening until I found myself in the middle of a barrage of activity at 7:00 into the piece. This is followed by an initial decline, and an immediate ramp-up to the climactic explosive arival at 8:45, the highest point in the piece in terms of energy and density of melodic/gestural material. My initial listening hears this as nearing achievement of the goal, that being a symbiotic relationship between the two voices, rhythmically, harmonically and gesturally. This is nearly achieved when the two voices are playing in near unison in the final minute of the piece. However, this doesn’t feel as much like an arrival as it does a final attempt at the goal and realization that the goal will never truly be accomplished; the final gestural moments being the sift left from nearly 10 minutes of straining toward an unachiev able objective. Tinal Tallon’s dirty water follows sift as the second track, and again, I feel it was a good choice of track order on the part of Transient Canvas. 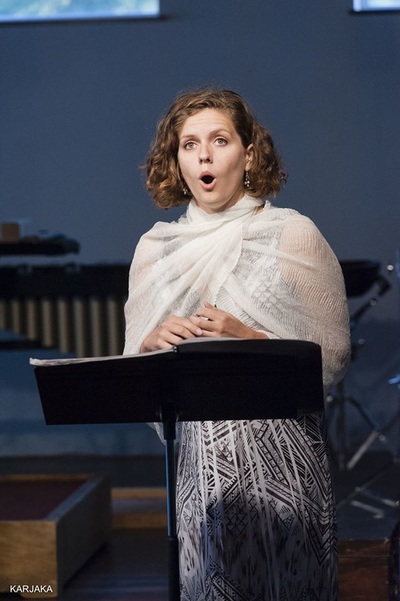 Tallon describes her piece as being inspired by the Standell’s 1966 song of the same name, and the “quirky, grungy, playful ubiquity of [the song] and the city that [she] love[s].” Again, I think the composer’s own words on the piece are an incredibly accurate depiction of what one can expect from listening to it. Dirty water involves a great deal of contrapuntal interplay between the instruments which begin as brief gestural moments, interjections, interruptions or residue from one another. Around 2:20 the individual moments and gestural ideas become longer and more substantial and really bring the listener into the individual character of each instrument’s timbre and gestural/motivic content. The second half of the piece (starting around 3:30) seems to begin the process over, with both instruments presenting short snippets of material, some in total rhythmic unison, all of which leads to a series of tremolo figures in both instruments, again punctuated and interrupted by sharp marcato and slap tongue attacks. It is as if the piece almost starts the entire process over, but changed as a result of everything that came before. The high point of Tallon’s piece, for me, was the final 40 seconds of the piece, wherein both instruments are again playing longer contrapuntal phrases with more sustained playful energy. This plays out to the final moment of the piece, which is honestly my only issue. I felt the end of the first section wraps up very nicely and restarts at 3:30, but the very end of the piece seems to just cut off mid-phrase. Perhaps this is a nod to the Standells song referenced in the program note, which also fades very abruptly at the end of the recording in the middle of a phrase during the repetition of the chorus. Vestibule III by Curtis Hughes follows dirty water as the third track. I think this is an appropriate title for the piece as it evokes the imagery of beginning, just as one might enter a building through the vestibule (with numerous options of where to go next), this piece, to me, sounds like a series of beginnings and departures. To quote the Linklater film Waking Life, it felt as if I was in a state of constant departure while always arriving. Hughes creates moments that are stylistically and aesthetically different from one another through texture, energy, motivic character, use of repetition or lack thereof, etc. The piece is always moving in some direction, though I never quite knew where it was going or how material would develop, and all the while I was fine with that. It was nice to be taken on a journey that had no clear end in sight where I could really just enjoy each stop along the way. The pulsing rhythmic introduction is a very effective set-up for the piece, and that kind of rhytmic energy comes back throughout the piece, interspersed with what Hughes refers to as “lyrical tenderness,” which I feel is appropriate. The opening material returns at the end, which is nice in terms of creating a clearly wrapped up musical form, but I wonder if it’s necessary. This is not a comment on Hughes’ pieces alone, but more something that I’ve always wondered about musical form in the 21st century. Is it necessary to return to previous material to create a unified formal plan or convincing musical discourse? In the case of Vestibule III I think the preparation of the return was handled very well and I was surprised by the return of opening material, I just wonder if continuing the perpetual shifting of textures and moments would have been equally satisfying. Relatively light and playful, John Murphree’s Purge is centered primarily around a small collection of motives and a single whole-tone gesture that appears numerous times throughout the piece. The entire work is presented in four primary sections with the whole-tone flourish (most often as a shared unison figure) serves to start and/or close each section. The piece is overall enjoyable, easily digestible and gets a lot of mileage out of relatively limited materials. Murphree rewrites and reuses similar rhythmic cells in each section to create contrapuntal interplay between the instruments, or to establish an almost ostinato groove pattern in the either the marimba or bass clarinet, with the other instrument acting as the soloist. I found the title and program note interesting and perplexing at the same time. I was almost expecting a very clear presentation of materials with the overall narrative of the piece being to either destroy those materials into something unrecognizable or very far removed (purging the original material from any surface-level recognition), or I thought it might be a piece that was centered around both long-term variation of ideas with aperiodic outbursts (purging of emotional anger). One could make the argument that the latter of these did happen, in that there was variation of introductory material throughout each section, and there were some outbursts, particularly the repeated whole-tone figure, though it goes through very little change throughout the piece. Perhaps the fact that the whole-tone motive remains unchanged helped to solidify it as a recognizable outburst motive, and any deviation from the figure could cause it to be less noticeable as the purging of anger through an aggressive outburst. In all, I think any piece that causes me to think about it this much is deserving of multiple listenings and discussion, and I’m sure I’ll be revisiting it much more in the future. Nostalgia Variations by Adam Roberts is the capstone work of the album, clocking in at just a little over 20 minutes. The opening material serves as the theme (the Nostalgia theme, as suggested by the program notes) and throughout the 20 minute journey the composer explores (seemingly) every possible variation of the introductory material. On my first listen through I tried to trace the development of the Nostalgia theme throughout the piece, and I honestly would not recommend that for a first-time listen. I say that only because I feel like there is so much subtlety and nuance in Roberts’ piece that is beautifully presented by Transient Canvas, and my laser focus on tracing the development of a melody really took me out of the mental headspace that makes their playing and Roberts piece so enjoyable. While the syntactical trajectory of development is probably interesting to analyze, what makes this piece so enjoyable is how Roberts transitions from one section to the next - for example moving seemlessly from long phrases of intricate counterpoint dominated by gestural activity to very straight-forward repetition of a simple rhythmic device to some kind of distorted and irregular groove (what Roberst sometimes refers to as “strange loops” in another work) to the slow meditative/reflective ending. In all, there is more to discuss in Nostalgia Visions than can be covered in a single review, so in short I would just like to say that this piece has something for anyone and everyone to take away. Roberts crafted a wonderfully elaborate piece based on a simple idea and Transient Canvas did a masterful job executing that vision, and it is a perfect choice as the closing piece for the album. Again, I am very impressed by this album, not only with the compositions on an individual basis, but also with the overall playing and dedication by Transient Canvas and the care that they took in crafting this album. Too often I have sat down to listen to albums of some of my favorite performers and I get 5-7 tracks of the same aesthetic and/or genre, which can become old even if it's something I love. Transient Canvas provides the listener with a wide array of styles and aesthetics and with 5 pieces wherein the composers provide their own unique take on how to handle the relationship of the instruments’ timbres and abilities. I strongly urge you to check out this album, especially if you are a clarinetist or percussionist looking for new rep., or if you are a composer looking for some new and captivating 21st century music. It has been some time since the last KLANG post, but hopefully now that things are settling down I’ll be back to more regular postings in the very near future. This week I want to review Eric Honour’s CD “Phantasm,” a collection of pieces for saxophone and computer, released by Ravello Records and Parma Recordings. I got this CD a few months back and it took me a while to get around to listening to it, but I’m glad that I finally did. I’ve known Eric’s music for a while now, but it wasn’t until after recently hearing him perform one of his own pieces in Virginia at the Electro-Acoustic Barn Dance that I found out that he’s an incredibly talented saxophonist in addition to being a great composer. As soon as I got home from the Barn Dance I pulled out my copy of Phantasm and gave it a thorough listen. Phantasm is a CD of 11 works performed by Eric (including one of his original compositions) by a wide range of composers in various styles, all of which employ live computer processing of the saxophone input. The CD includes works by Ed Martin, Zachary Crockett, Karlheinz Essl, Eric Honour, D. Edward Davis, William Coogan, Christopher Biggs, Lou Bink, Massimo Biasioni, Scott McLaughlin and Luigi Ceccarelli. What first caught my attention with this CD is the production quality. The mixing and editing is very clean throughout, and Honour (who also mixed and edited the CD in addition to performing) always maintains a good balance between the saxophone and the electronic component in each piece. More specifically, the saxophone is mixed and EQd so that the (often) troublesome mid-range of the instrument is never too murky and is always balanced well with the electronic component. In addition to sounding great, there is also a really nice selection of wildly versatile music. Stylistically, the pieces range from reflective/meditative nocturnes to excitingly fast barn burners. Dare I say there is a little bit of something for everyone. The pacing of the album is also nicely done in that each track presents something different compared to what came before, which helps to avoid getting bombarded with too much of the same thing over and over again - a problem that, admittedly, can be difficult to avoid when programming modern electroacoustic music. The opening track, Apparitions by Ed Martin is possibly my favorite piece on the album. It’s a great opening track as it demonstrates Eric’s abilities as a virtuosic performer, but also sets a good tone for the over-arching use of electronics on the entire album. Apparitions utilizes a wide array of electronic sounds set against a fantasia-like saxophone part wherein the two elements are in constant dialogue, all of which creates interesting counterpoint and very effective compound gestures between the sound worlds. The electronic sounds range from ghostly atmospheric drones to aggressive and deliberate percussive attacks. The second track, Zachary Crockett’s Fight to Flow Between, features mostly the saxophone with the electronic playing more of a supporting role. The use of electronics are incredibly effective, but primarily act as a backdrop for the exciting flourishes coming from the saxophone. Karlheinz Essl’s Sequiter VII was of particular interest to me when I saw it on the track listing, as I’ve assisted in the performance of three other of Essl’s "Sequiter" pieces. The concept behind the piece is that the saxophone essentially creates its own accompaniment through the use of canons produced by delay lines from the computer. This might seem simple in concept, but the execution of Essl’s "Sequiter" pieces is quite difficult and involves an incredible degree of focus and clarity on the part of the performer. The final result of the piece is a constantly evolving organic texture that blurs the line between what is being repeated as the electronic “canon” and what is being introduced as new material by the performer. Eric’s own piece Phantasm follows Essl’s composition, and it provides a nice contrast from the more gradual process-based textural music of Sequiter VII. What initially stood out to me with Phantasm (the piece) was the immediate introduction of pulsed electronics. This is the first piece that utilizes a very clearly recognizable pulse, which is very refreshing following the previous three pieces. The piece that follows Honour’s is sugar baby by D. Edward Davis, another piece which utilizes a strong sense of pulse. Sugar Baby is really fun piece which plays with quotations of an Appalachian folk melody. The piece is scored for baritone saxophone with an accompaniment that consists of processed banjo creating a very stable rhythmic backdrop. Being from the foothills of the Appalachian mountains, this piece brought back a nice sense of nostalgia for me, and really it’s just a fun and quirky piece to listen to. I think the best description I can think of for Davis’ piece is Appalachian mountain music on acid. And I mean that in the absolute best way possible. Chris Biggs’ Execute All The Brutes is a great demonstration of a work that is truly a duet for instrument and computer. The electronic component is articulate, precise (and fully notated) and deliberate in its creation of rhythmic and melodic gestures, and the foreground fabric of the piece is dependent on the equal interplay of the saxophone and the electronics. Neither voice is given priority over the other, but the two exist in a nice balance of roles as leading voice and supporting voice. It reminded me a lot of Mario Davidovsky’s Synchronisms for instruments and tape, but with a more modern timbral palette for both instrument and electronics. The piece that stood out to me the most was the last piece on the album, Neuromante by Luigi Ceccarelli. This piece involves a fantastically difficult saxophone part set against an equally impressive electronic component. The electronics are made up of sampled saxophone notes and extended techniques, some of which are processed and others that are presented with little to no processing. Ceccarelli says about the piece “Rather than compromising these two different worlds of techniques [acoustic and electronically edited sounds], the end result yields a true expansion of sonic events.” Ceccarelli’s own words are the best way to describe the affect of his piece. Upon first listening to the piece I couldn’t tell what was the live saxophone and what was processed or even pre-recorded saxophone. After looking at the score I still found it difficult at times to differentiate between the two. Not only is the piece impressive on a compositional level, it’s also very engaging and wildly exciting to listen to, making it a great choice for the closing piece of the CD. My only complaint about Phantasm is that three of the piece - Lou Bunk’s Luna, Massimo Biasioni’s Il Cortile di Charlie and Scott McLaughlin’s Whitewater - while they were enjoyable pieces and very well-written, I felt that all three were a little long-winded for the material that was presented. Luna was a hauntingly beautiful nocturne that created a meditative and entrancing timbral and harmonic texture, but for as little as it developed it didn’t maintain my attention for the entire duration of the piece. A similar argument could be made for Biasioni’s Il Cortile… , and even though it had noticeably more variation between sections than Bunk’s piece, the pacing of sections felt a little too drawn out for my liking. That said, in the greater structure of the album as a whole, these are all three great pieces that I might change my tune with repeated listening. Furthermore, the length of these specific pieces did not at all detract from the album overall. If you’re a fan of new saxophone repertoire, pieces which utilize a virtuosic matching of instruments and electronics, or you just want to hear some great music you’ve most likely not heard before then I strongly recommend checking out Eric Honour’s "Phantasm." Check out the links below to listen to Ed Martin’s Apparitions (the opening track of the CD) and to go to the Ravello Records Phantasm page to see more content from the album and purchase a digital download. I recently got back to Austin from working a sound engineering job at the Omaha Under the Radar festival in Omaha, NE which was held July 9-11. 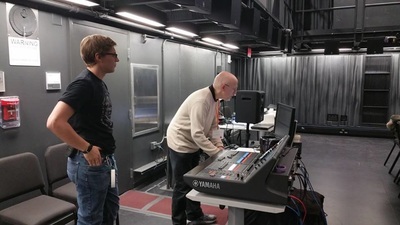 I was there primarily to run sound in one of the concert venues, but I was also there as a regular festival attendee, and I have to say that I was very pleasantly blown away by what I heard and saw. Omaha Under the Radar is a festival of experimental music and art in its second year, curated by Amanda DeBoer Bartlett, Stacey Barelos, Kaleigh Butcher, Kate Campbell and Aubrey Byerly. I’ve attended a lot of new music and art festivals over the years and Omaha is definitely one that stands out. Unfortunately I wasn’t able to attend all of the events, as I spent a great deal of time running cables, pushing faders and doing general sound guy stuff, but I still got to attend a lot of concerts, saw a number of rehearsals and even attended a composition workshop one morning. What really stuck out to me was the way the festival was structured. 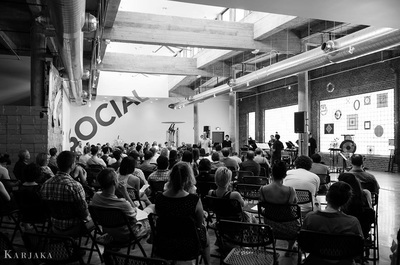 Most (if not all) of the music festivals and conferences I’ve gone to tend to organize concerts that showcase composers or a single performer or ensemble. Program feature a series of pieces by various composers or a small collective of composers. The Omaha concerts were presented in 2-2.5 hour blocks which were divided into 30-minute time slots. 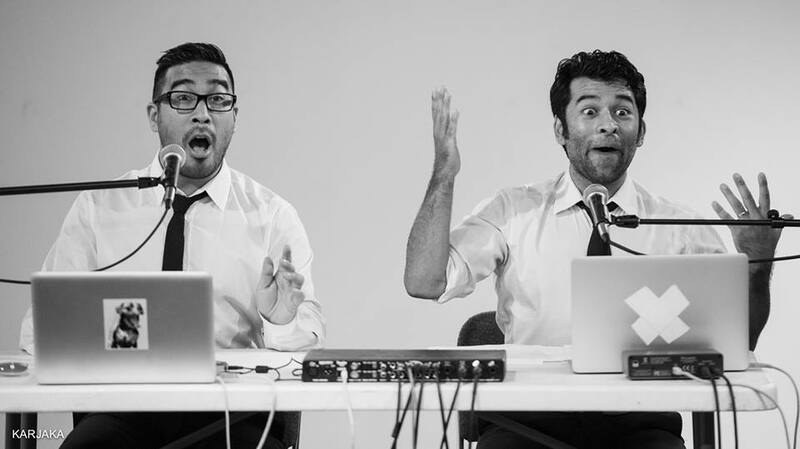 Each time slot was dedicated to a performer or ensemble to present whatever music they submitted to the festival. Sometimes performers presented multiple works by various composers, some groups presented a single large-scale piece and some presented original music. Some performers gave short lecture recitals in which they talked about the pieces in between performances to give the audience some context for the music they would hear. This concert structure was a really nice change of pace, at least for me. It was really great to see a series of concerts that focused on showcasing the talents of multiple performers and composers equally. It was reminiscent of going to a show at a club or bar in which you go to see a performer or band for an extended period of time, as opposed to hearing a collection of pieces by various artists. Another great aspect of Omaha Under the Radar was that the concerts took place at venues other than concert halls and university recital halls. I’ve noticed this becoming trend a lot more with music festivals and I think it’s really great. The people who were showing up to the concerts was also noteworthy, as the majority of the audience - at least at all the shows I attended - were Omaha locals. 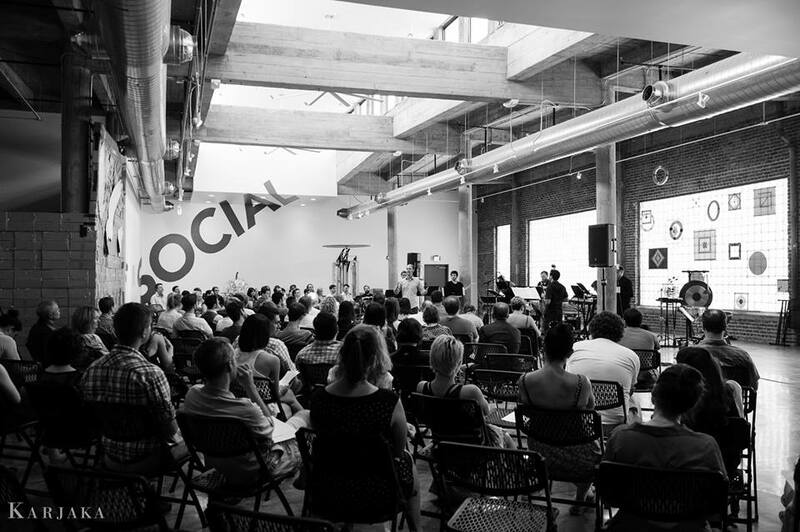 It was really great to see so many people from the community interested in new music and art. Too often I’ve gone to music festivals and/or conferences and everyone in attendance is a composer or performer at the festival, and we’re all essentially performing for each other. The audiences at Omaha were made up of performers, organizers and lots of music fans and supporters from around Omaha. To provide an example, I ran sound for 3 concerts at a venue called the Bancroft Street Market, and for all three concerts we ran out of seating. But lack of seating was never a deterrent. Concert attendees found places to sit, stand, lean and sometimes even just moved around during performances. A few performers even encouraged the audience to move around the space during the performance. All of the concerts created a really great listening environment for the audience. Omaha Under the Radar also provided listeners with a amazing variety of styles in each concert. Even if there was some kind of loosely guided theme to a concert, each set of the concert presented something different than what came before it and what would be presented later. One concert, which took place in a bar near downtown called House of Loom, involved a set of solo unaccompanied voice by Alejandro Acierto, a set of delicate music for bass flute and electronics by Shanna Gutierrez, a set of musical performance art with technology by a group called MIMIC, and the night was ended with what I can only describe as high velocity, quasi-grindcore feedback music utilizing electric guitar and amplified cello by Hannah Mayer and Ben Eisenberger. Some sets included dance, electronics, multimedia, free improvisation (one set which included improvisation on a hurdy gurdy [SPK Trio]...yeah, you read that right), costume and staging. I realized after the first day that I would be surprised by what each set had to offer. Whether I enjoyed the music or not, I would definitely be surprised by what I would see and hear, and that alone was more than enough to keep my interest the whole weekend. 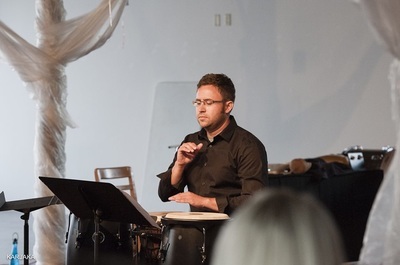 In addition to solo performers and chamber groups performing their own sets, the festival also featured 3 performances which were organized entirely at the festival. 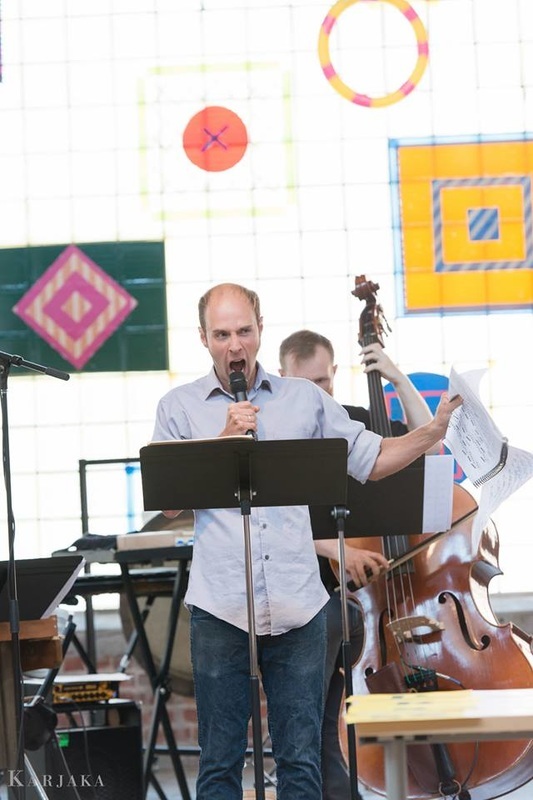 These performances included a performance of John Zorn’s Cobra and Rzewski’s Coming Together organized by Vimbayi Kaziboni and a performance of Julius Eastman’s Stay On It organized by New York-based composer/performer Paul Pinto (thingNY). Although I couldn’t attend the performance of the Zorn or the Rzewski, I did see all of the rehearsals, and it was really great to see a group of musicians put together two large and very involved pieces. I did get to see the performance of Stay On It, which was the closing performance of the entire festival, and I have to say it was an energetic and exciting way to end a great weekend of new music. 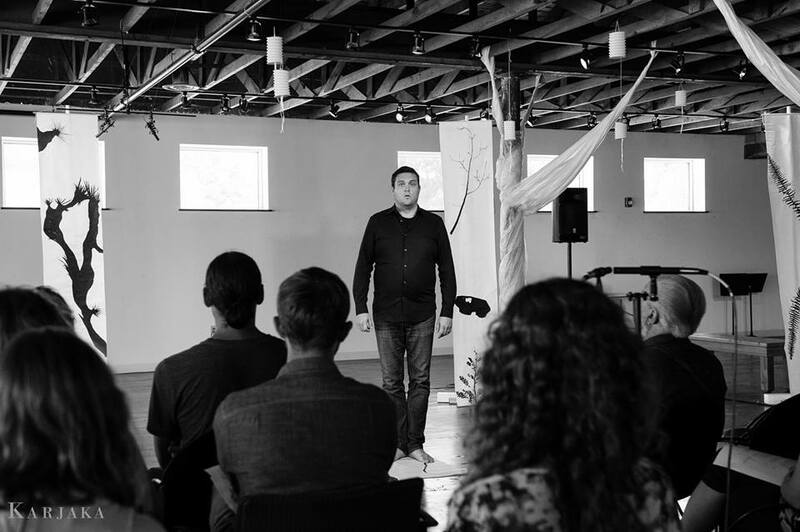 My main problem with Omaha Under the Radar was that I was only able to go to a limited number of performances, due entirely to the fact that I was often running sound checks and getting things set up at the Bancroft Street Market venue. Though I can’t speak for everyone in attendance, I can definitely say that I really enjoyed myself and it was great to see so many people from all over the country come together to put on such captivating performances. I’m really glad I was able to be a part of the festival and I look forward to attending again next year, and I strongly encourage everyone to check out what’s happening in Omaha. One final thing I want to mention is the Soundry Camp that went on July 6-9. The Soundry Camp is a 4-day music camp for Omaha youths directed by OUR organizer Stacey Barelos in which the kids worked with festival organizer and soprano Amanda DeBoer Bartlett, composer Danny Clay and guitarist Jesse Langen (who also gave some great performances during the rest of the festival) on creating new music. I didn’t see much of what went on at the camp, but I did see a slideshow of pictures and video taken of Stacey, Danny, Amanda and Jesse working with the kids on building instruments, experimental music practice, graphic notation, improvisation and other kinds of creative music-making. I didn’t get to experience much of what happened during this portion of the festival, but it was great to know that the OUR organizers are reaching out to the community to spread art to the youth and get them excited about new music at a young age. Overall, I had a great time at Omaha Under the Radar, and I strongly encourage any and all performers, composers, dancers, sound artists, installation artists (or whatever branch of the sonic/visual arts you’re involved in) reading this to consider applying for next year’s festival. This week will be the first of a series of reviews of CDs provided to me by Parma Recordings, a New England-based music company that specializes in commercial recording and distribution of orchestral, choral, chamber and electronic/electroacoustic music. I will be reviewing a collection of CDs distributed by Parma with a special focus on recordings of music in a more experimental and avant-garde nature in both acoustic and electroacoustic media. My first review is of the self-titled debut CD by the Tornado Project by Ravello Records and Parma Recordings. 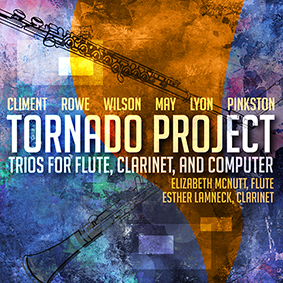 This CD is the result of an 8-year collaboration between flutist Elizabeth McNutt, clarinetist Esther Lamnek and composers Ricardo Climent, Paul Wilson, Robert Rowe, Andrew May, Eric Lyon and Russell Pinkston (more information about the Tornado Project can be found here). This CD contains one composition by each of the aforementioned composers, all of which showcase the talents of the performers, the unique vision of each composer and the possibilities of interaction between performers and computer-driven electroacoustic accompaniment. Check out the video below for a preview of what the CD has to offer. I have to say I was really blown away by this CD. I've been a long-time fan of Elizabeth McNutt's playing and have also followed the music of Pinkston, May and Lyon on various other recordings. Being a composer of electroacoustic myself I was very excited for this to be my first review from Parma, and I strongly recommend that anyone who is even mildly interested in experimental electroacoustic music should run, don't walk, and get a copy. The CD is just under an hour of some of the most engaging interactive electroacoustic chamber music I've heard, and the performances by McNutt and Lamneck are nothing short of spectacular. The two perform together effortlessly with exemplary interaction whether the music is fully notated or highly improvised. The CD opens with a piece by Ricardo Climent titled Russian Disco, which Climent refers to as a musical mosaic, both sonically and notationally. The piece is a highly improvisatory piece in which the computer reconstructs a “pre-notated musical framework” provided to the performers as a digital score with guided improvisation and computer accompaniment. Climent likens the concept to a carousel belt of sushi one might find in a Japanese restaurant. The concept alone had me hooked. The music is incredibly organic, especially for a piece that relies heavily on improvisation and a computer-reconstructed form. After a few listens, “mosaic” is really the most appropriate term to describe the constantly shifting pointillistic textures and melting pot of sonic ideas. With each listen I took away something entirely new I hadn't heard on previous listens – a new cause/effect compound gesture, subtle layers of activity just below the surface texture, etc. This piece wonderfully sets the tone for the rest of the album. My only gripe is that the end left me wanting more. However, with a piece like this (deconstructed musical mosaic that changes form with each performance) I guess that's to be expected. Robert Rowe's Primary Colors is an exploration of three basic motivic ideas that go through a series of variations as the piece unfolds, both compositionally in the instrumental part and electronically through variation in the computer accompaniment. While it was not my favorite piece on the recording, I always found it engaging on repeat listenings. Rowe's piece is timbrally rich and harmonically stunning, even in sections some might consider abrasive or dissonant. Paul Wilson's Beneath the Surface was also interesting conceptually, in that the composer (as stated in the liner notes) limited the electronic component to manipulations of recordings of breath sounds and key clicks from the instruments, the music “never growing beyond a murmur.” I was unsure about how Wilson would be able to keep this type of delicate material interesting over the course of 10.5 minutes, but he was definitely successful in that endeavor, and Beneath the Surface ended up being one of my favorite pieces on the album. He also states in the notes that the piece should seem “unfinished” and I have to say I agree, but it never left me unsatisfied. The final product is like a sonic mobile that could continue turning forever; like a brief glimpse into a world that is always changing and evolving, with or without our knowledge of its existence. Andrew May's Still Angry is a piece that I was initially unsure about after reading the program notes. 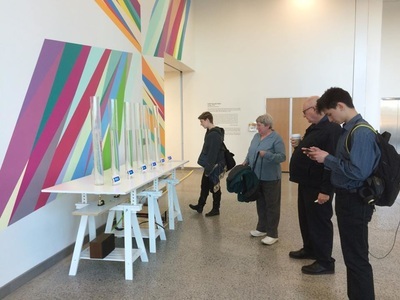 May describes the piece as being a fusion of avant-garde improvisation from the performers against the computer which provides an accompaniment of processed quotations from 1970s rock, punk and post-punk bands Joy Division, Magazine and Buzzcocks. While I'm a fan of Joy Division and Buzzcocks, I'm always a little suspicious of “pop-crossover” music (not judging, it's just not my thing), but May's juxtaposition of these two genres is really captivating and entertaining. The dichotomy created between the two worlds, neither of which is fully willing to submit to the other, creates an interesting intersection between the aesthetic of late 20th century experimental classical music and the post-punk/pre-new wave movement of the 1970s – both genres abrasive in their own right. After listening to the album multiple times through I found myself coming back to this piece more than any other work on the album, and each time it brings a smile to my face. The way the two worlds work against each other, yet sometimes come together for brief groove sections, only to fall back into their own domains was always captivating on each listen. In the end, I would say Still Angry is, for me, the most entertaining work on the album. As much as May's Still Angry really grew on me, Trio for Flute, Clarinet and Computer by Eric Lyon was my favorite piece on the album. 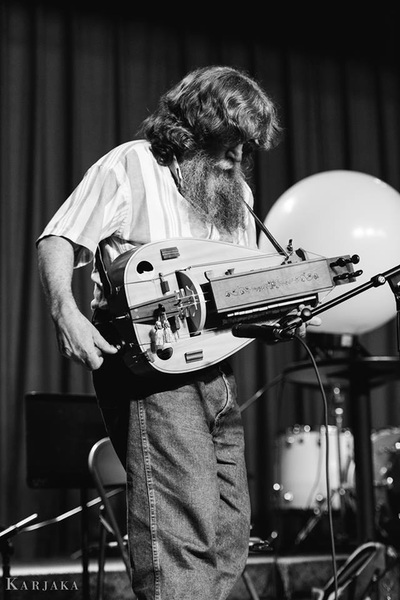 His program note is short and to-the-point, stating that the piece is centered around interaction of computer and performers through “compositional, rather than improvisational imperatives.” The electronics are derived from capturing live input from the performers and processing those fragments of the performers to generate an accompaniment that is organic, clearly derived from the performers and serves as both a unique voice and extension of the performers. The flute and clarinet lines are incredibly intricate, creating a web of counterpoint and endless variation of ideas presented early in the piece. On my first listen I was shocked when the piece was over, as it didn't seem to me that 14 minutes had already passed. I immediately started it over for a second helping. Still, every time I listen to Lyon's piece I find it mesmerizing and captivating from start to finish. Russell Pinkston's e++ is the final track on the album, and is really a perfect piece to end on. Pinkston's music, often marked by his use of capturing live input from a performer to create a rhythmic groove backdrop, always provides a kind of energy that can be easily lost in experimental and avant-garde electroacoustic music. However, e++ caught me a little off guard, as the pulse which I've grown to expect from Pinkston's pieces doesn't fully appear until just over halfway through the piece. Not that that was a bad thing, though. Because I'm familiar with Pinkston's music I was anticipating this section, and having it appear later than I expected really drew me into what was happening as I waited for that moment to happen. For someone less familiar with Russell Pinkston's music I think the form and pacing would be just as affective. Like the other pieces on this album, McNutt and Lamnek perform a web complex counterpoint, always playing off one another effortlessly. What really stood out to me in e++ was a section in the middle made up entirely of improvised extended techniques behind a granulated texture of captured live flute and clarinet – although not quite the granulated texture I was expecting. This section provided a really nice contrast to the more rhythmic pulsed sections that bookend the piece. Pinkston's e++ wonderfully showcases the impeccable talent of McNutt and Lamnek's playing, the many possibilities of interactive computer accompaniment, and Pinkston's incredible sophistication as a composer and programer. Well, there it is - The Tornado Project. Again, I strongly urge anyone who is even mildly interested in this aesthetic and genre (composers and performers alike) to pick up a copy of your own. It is available through Ravello Records' website (link below), and while you're there you can check some of the other wonderful recordings that Ravello has to offer. Also, check out Parma Recordings' website (link above) for more information about what they offer, and you can also follow their blog for other news and updates. Join me next time for a review of Eric Honour's “Phantasm – Music for Saxophone and Computer,” also by Parma Recordings and Ravello Records. I’ve been intrigued (some might say borderline obsessed) with Brian Ferneyhough’s music since 2010 when I first heard Mnemosyne for bass flute and tape in a class at Bowling Green State University. The highly complex web of activity, decoupled staff notation, the look of his scores and the endurance required to perform his music has fascinated and puzzled me for years. At first I wasn’t sure if I actually liked the music or if I was just obsessed with trying to decode and unravel it the way some people obsess over Sunday New York Times crossword puzzles. Eventually I realized that, ultimately, it’s the sound world, the music, that draws me into what Ferneyhough creates, but my left-brain personality couldn’t stop obsessing over trying to figure out how a performer approaches deconstructing a Ferneyhough piece. I decided to seek out Ferneyhough’s now out-of-print collected writings (Routledge [June 1, 1995]) and see if I could find any answers there. What I found was one of the most rewarding books I have ever read. Brian Ferneyhough’s essays, while difficult to digest, are informative, rich, engaging and thought-provoking. Additionally, they provide insights into his music which no one is able to provide as effectively as the composer himself. The collection is organized into one book divided into 4 sections - essays, analyses of Ferneyhough’s own music, analyses of other composers’ music and various interviews, with a forward to the book by Jonathan Harvey. Typically with these kind of collections I feel more inclined to jump around and read whatever catches my fancy, or what I’m particularly interested in. I think that freedom is kind the beauty of reading a collection of essays without a defined narrative. With Ferneyhough’s book I didn’t take that approach. Even though I had an affinity for Ferneyhough’s music when I picked up a copy of the book, I still found the theory, structure and philosophy behind the music to be so foreign that I honestly didn’t know where to start reading. So, I felt it was best to just start at the beginning and read to the end (what a novel idea, right?). In the end, I found this to an effective way to approach this book. By the end of the first couple of essays I felt I was already understanding Ferneyhough's philosophy of composition and music on a much deeper level. To be honest, though, I wasn’t sure how deep into that rabbit hole I wanted to go, but I couldn’t stop reading. Still, the organization of topics seems to provide the reader with an effective trajectory to approach Ferneyhough’s writing and analysis. One of the topics I found most provocative was the essay on teaching composition and the role of the teacher (Divining Rods and Lightning Conductors), probably because I am in the early stages of becoming an educator. Without getting into too much detail, Ferneyhough discusses how it is often believed that the job of a composition teacher is to dive into their students’ minds, find any talent and know-how buried inside and bring it to the surface (hence the divining rod metaphor) through rigorous practice of compositional exercises (composing with “good” counterpoint, voice leading, orchestration, etc.). Ferneyhough argues that it is not the job to impose on the student, but to engage with them through discourse and let the student find his or her own compositional voice, talent and know-how. They should act as their own divining rod. While this teaching philosophy is probably often agreed on in theory, I wonder how much it is actually practiced. There is much more to that essay than I’m expressing here, and I feel that it’s a must-read for anyone interested in teaching for any subject, not just composition teachers. The articles analyzing his own music and other composers music (specifically Webern, Michael Finnissy and Carl Ruggles) are very interesting, but without some knowledge of the pieces discussed, that entire section of the book probably won’t be very fruitful. However, the last section of the book - Interviews - is incredibly insightful and was probably what I found the most enjoyable to read. I’ve spent more time than I’d like to admit over the last 3-4 years watching interviews with Brian Ferneyhough on YouTube, and I’ve always been mesmerized by the way he speaks about music and art in candid conversation. The interviews in the book are transcriptions, so they aren’t quite as candid a live unedited video interview, but they’re still very engaging and mostly easy to read compared to the essays. And I think they provide an insight into Brian Ferneyhough that is very humanizing. I think the difficulty of the music and the complex notation of Ferneyhough’s scores makes it easy for him to be written off, either as overly cerebral or, Harvey puts it in his foreword to the book, a “boogeyman” of new music. The interviews that close his collected writings do a lot to dispel that attitude, maybe not about Ferneyhough’s music, but about him as a person and an artist. With all of the great things I’ve mentioned about this book, it isn’t without its flaws. 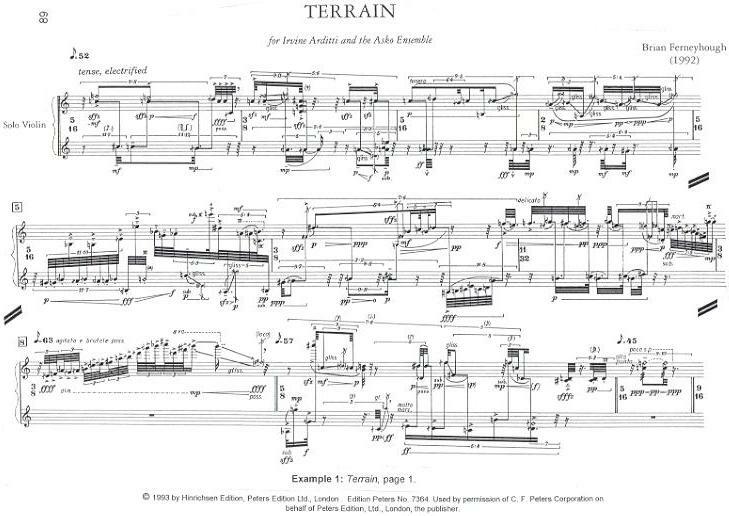 Ferneyhough’s style of writing could easily be compared to the density of his scores. There’s a vast amount of insight and knowledge to be taken away from each article, but the amount of reading and re-reading I had to do in order to fully absorb the points being raised is the main reason I only got through about 25% of the book after 12 solid hours of airport reading. The long run-on sentences, incredibly dense language and syntax is often more confusing than it is clarifying. The subject matter is already complicated enough, I don’t see the reason to complicate it further with overly dense language. The main reason I found this to be a glaring issue with the book is because in the interviews, Ferneyhough’s manner of speaking is significantly less complicated and in the video interviews I’ve watched his language and explanations are lucid and comprehensible, even for someone not associated with Ferneyhough’s music. My only other gripe with this book is the third section about other composers’ music. I like the idea of a composer analyzing the music of other prominent composers - past and present - but devoting only 30 pages of a 525 page book to this topic seems unnecessary, if not a little forced. Maybe these are the only substantial writings Ferneyhough had published at this time, or maybe they just the most extensive ones he had published. Perhaps these are the only writings he felt were necessary to include in the collection. Regardless, I think having such a small amount of writing on that topic throws off the balance of the overall subject matter, and I felt there should have either been more time devoted to section 3 (even if it meant devoting less to one of the other sections of the book) or it should not have been included at all. Overall, this is an incredible collection and provides the reader with lots of insight to a brilliant composer whose sound world and compositional process is often misunderstood. I would definitely recommend this book to anyone with even a passing interest in Ferneyhough or new complexity in general. I would recommend it even more to anyone harboring animosity toward Ferneyhough and/or his music. It just might change your mind about the man and his music. It’s good to be back after a long 6 month hiatus, but KLANG will be back up and running with regular posts, interviews and reviews from here on out. 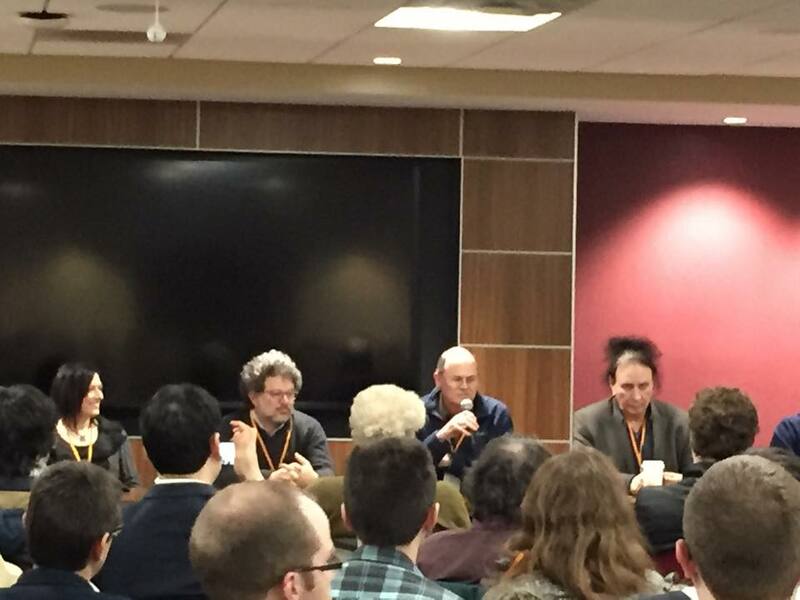 For this week’s post I would like to do a quick recap of the 2015 SEAMUS conference which was held March 26-28, 2015. SEAMUS was hosted by Virginia Tech this year, and I have to say that Charles Nichols, Eric Lyon and Ivica Bukvic did a fantastic job with the conference! There was a HUGE amount of music presented from a wide variety of composers. 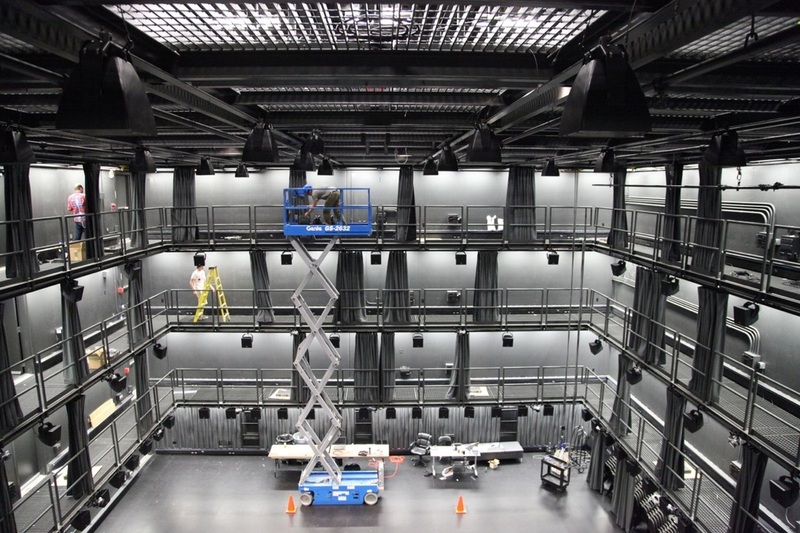 For me, the most exciting part of the festival were the concerts that took place in the Cube performance space - a black box theater with 124 speakers surrounding the audience. It was a real pleasure to have my piece (Wind Chimes Clatter through the Mist and Fog) presented in that space, even if I was not able to take advantage of the entire sound system. 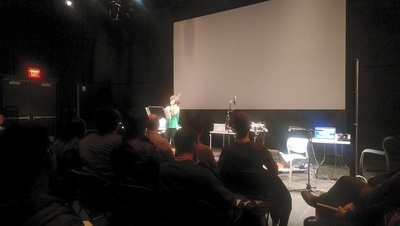 There was also a wonderful performance by L2Ork in the Cube and a plethora of pieces utilizing new technologies and controllers for producing and manipulating audio (here's a video of Chi Wang's Magic Fingers for Leap Motion controller). What I also took away from this year’s conference was the sheer volume of music presented. 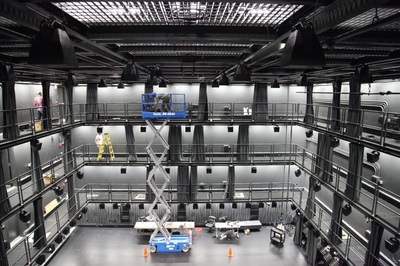 Each day there were 2 concerts in the Cube, 2 concerts in the Fife theater, multiple installations in various rooms, multiple listening rooms and a late-night concert Thursday-Saturday in Theater 101 (a performance space in downtown Blacksburg) in addition to the panel discussions and presentations. It’s always difficult to see/hear everything offered at SEAMUS, but this year was particularly challenging in that regard, but it was a very rewarding experience to have so much incredible music and art to engage with in such a short amount of time. In addition, SEAMUS coincided with a local Blacksburg music festival called Rock the Blocks, in which local bars and venues are packed with blues, rock, reggae and folk music. So, after each day of getting saturated with electroacoustic music we could all unwind at a local watering hole with some of the music Blacksburg had to offer. Again, it was a really wonderful experience. There were so many fantastic performances and presentation at SEAMUS this year, and this list was just some of what really stood out to me. It really a great conference start to finish and I would like to extend a congratulations to everyone who helped make it happen and to all of the composers and performers who presented works, papers and panel discussions. I will always remember SEAMUS 2015 as one of the most memorable conferences I have attended to date. The first recording I will review for my “Reverberations” section is a CD by the saxophone duo Ogni Suono, made up of Noa Even and Phil Pierick. The CD was released in 2014 and contains 6 new works for saxophone duo (of varying instrumentation). Composers include Stephen Andrew Taylor, Ian Dicke, James Bunch, Claudio Gabriele, Halim Beere and Quinn Collins. The pieces on this CD cover a wide range of styles, techniques and complexity. Regardless, Noa and Phil perform each piece with impeccable clarity and precision. I first found out about this recording through a Kickstarter campaign, and having heard the ensemble before I immediately donated to the cause. When I received my copy in the mail I put it on and listened to the whole thing from start to finish. The production quality alone is great, but the quality of the performance by Ogni Suono is absolutely outstanding. The first paragraph of the liner notes includes the quote “whether our musical material is hocketed, layered, transparent or thick, we strive to balance our individuality as musicians with the desire for a unified blend." This concept is clearly demonstrated in all pieces, both through performances by Ogni Suono and through the unique compositional style of the composers. Each piece brings to the table an aptitude of the craft of composition and Noa and Phil bring the same degree of clarity and precision to their performance of each piece. For me, the standout piece ogni suono come un essere vivente by James Bunch. I heard this piece for the first time in Bowling Green, Ohio when Noa and Phil were performing a concert of new works in the Dorothy Uber Bryan Gallery at Bowling Green State University. I was immediately captivated by the energy and controlled nuance in their performance of each piece. Hearing this piece live was an unforgettable experience and being able to hear it captured on CD is even better. Stephen Taylor's Decohere is equally engaging with it's use of overlapping multiphonics evolving into exciting flourishes moving from the low range of the baritone to the higher tessitura of the soprano saxophone. The piece shows incredible use of the extreme difference in register in a way that is not a hinderance of the duo, but shows commanding aptitude of the instrumentation. I strongly recommend this CD to anyone who is a fan of new music and this should definitely be required listening for all saxophone students studying contemporary music at the collegiate level. Reverberations is a catch-all page for everything that doesn't fit into a neat and tidy box of blog posts and interviews. Enjoy!